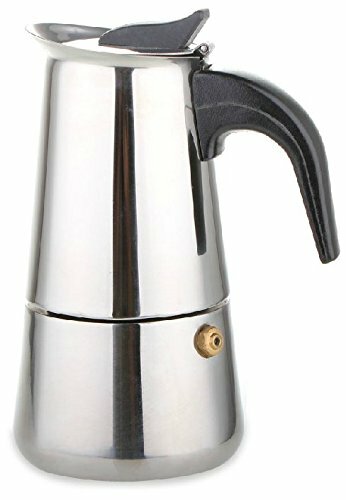 Real classic Italian style espresso pot. For use on gas or electric stovetops. Features a black nylon heat-resistant handle.